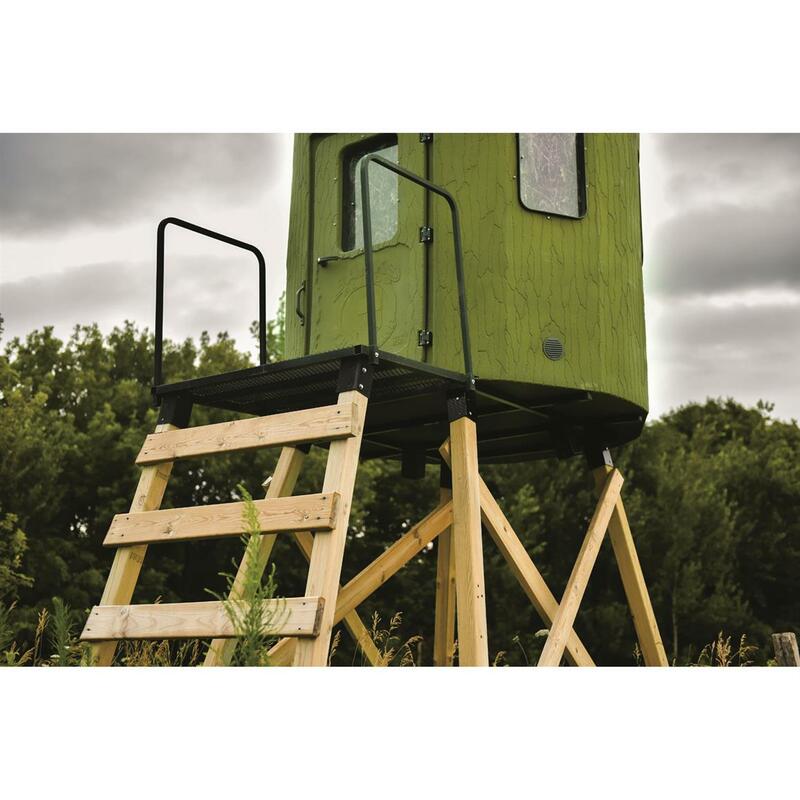 The Banks Outdoors Deck Plate creates a safe, easy way to enter and exit your blind. Built with heavy-duty expanded metal and a sure-footed gripping surface, you'll never have to worry about slips or falls during icy or wet conditions. 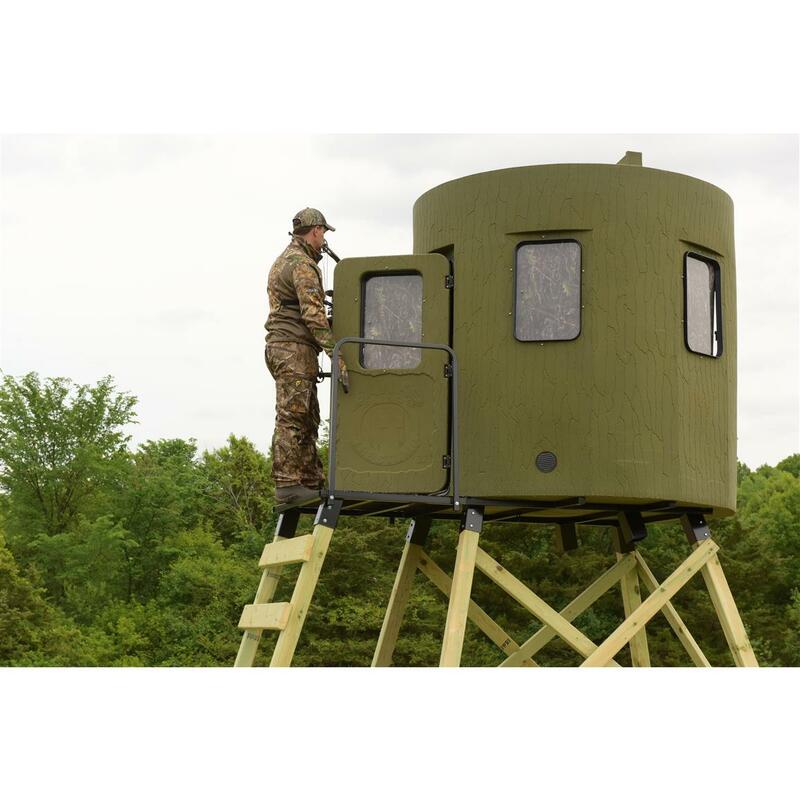 Mounts easily to any of the Banks Stump Blinds and comes equipped with 2 handrails for added peace of mind. Banks Outdoors Deck Plate is rated 4.0 out of 5 by 4. Rated 5 out of 5 by LindaKD from Easy to put up, safe and sturdy Great quality and fairly easy to put up. Much easier than building a stairs of step. We had our Stump 2 on 10 foot 4x4s so this platform was also ten feet. It was like putting up a ladder stand, need 2 people at least for safety to tip it up. I had an image from my cel phone but could not attach it because it was too large? Rated 1 out of 5 by DSapp from Very disappointed, be careful! You are not buying what you think you are The advertisement reads like you are buying the entire plate that fits under the blind and you should have to just buy all of the wood to assemble the tower. What you actually are buying is the small plate that the man is standing on in the advertisement that you then have to buy the entire Banks blind that the rest of the plate is attached to. Very deceiving! Also very expensive for what you are buying! Rated 5 out of 5 by Joe F from Good value- and well built. The best part- made in the USA! Very impressed with the stump II products. I would recommend buying the optional deck. 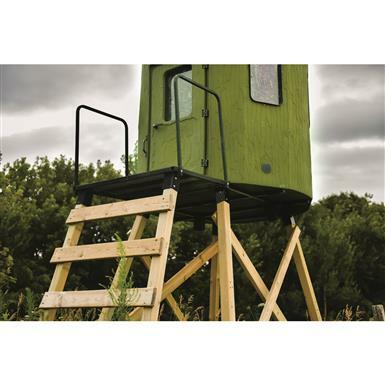 Rated 5 out of 5 by steve from works well, easy to attach to 2 man blind (great blind by the way). Makes it much easier to get into blind than grabbing outside handle- worth the extra $$.